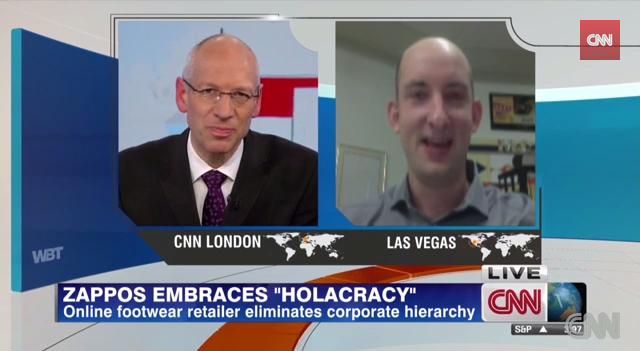 CNN interview of Zappos’ John Bunch. Holacracy is absolutely hierarchical. Holacracy does not create a flat management structure nor a bossless office. These misconceptions are partly due to the media’s tendency to sensationalize anything emerging from the tech sector as radical. Perhaps, equal attribution for this confusion can be given to HolacracyOne’s inability to control their own story. In traditional organizations, each employee has one manager and one title. Often, the lines get blurry. 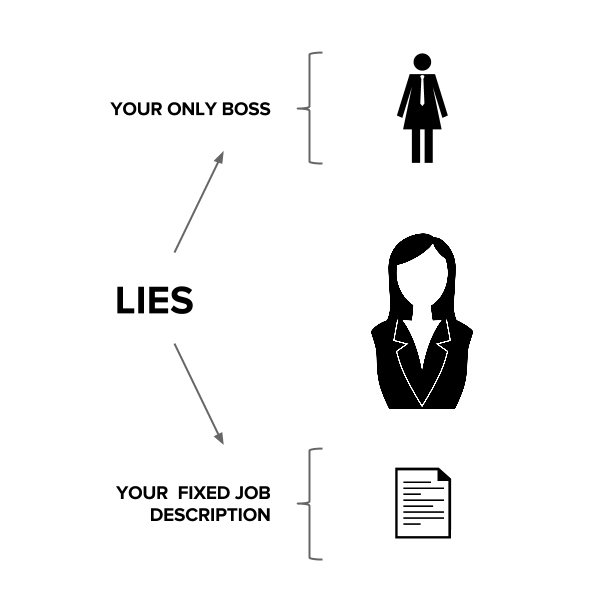 Consider how your own job description may not reflect the actual day-to-day work you do. Or, how you may serve multiple bosses — either implicitly or by carrying an explicit “dotted line” reporting relationship to another manager. Consider also how traditional organizations struggle to adapt to changing market conditions. Reorganizations are methodically planned. They are dramatic, expensive events. The rigidity of the org chart often causes employees to feel trapped without a sense of agency or clear path for progression, feeling as though they have to wait for a superior to leave the organization, or leave themselves, in order to make more money, do the sort of work they want to do, or receive the recognition they believe they deserve. 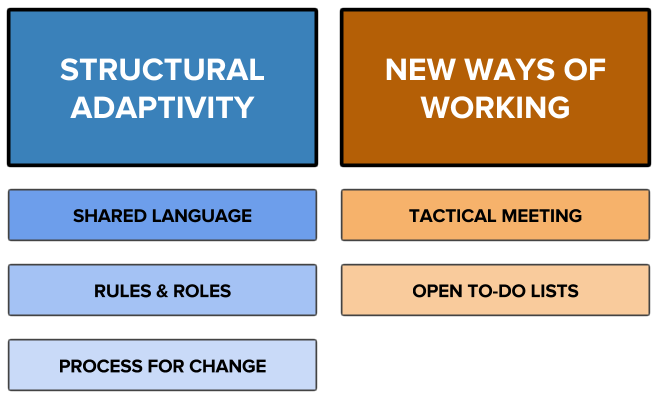 Holacracy offers “Social Technology.” As we see it at Undercurrent, Holacracy fundamentally provides two suites of “features” to address common organizational challenges: technology providing structural adaptivity and conventions for new ways of working. Holacracy fundamentally changes the way workers organize around work: there is an explicit distinction made between Roles and Souls — a description of the work to be done and the people who do it. 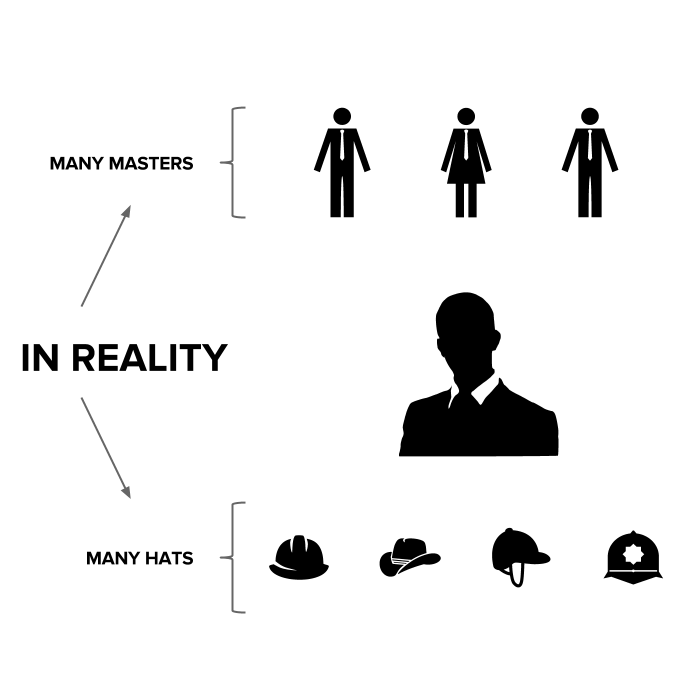 An individual worker may hold many Roles. Roles working together on related work are grouped together into teams called Circles. Each Circle has a leader (Holacracy’s analog to a manager) called the Lead Link. Lead Links fill Roles with individuals, including appointing the leaders of Sub-Circles. So, Circles arrange hierarchically. The topmost Circle in an organization fully adopting Holacracy is roughly equivalent to the board of directors. These terms belong to a shared language used to describe an organization’s structure. The structure is captured in Holacracy’s digital system of record, a web application called Glassfrog. Common misconceptions of one’s job. Terminology aside, this shouldn’t sound like a radical change from how things are arranged in a traditional organization. It isn’t. Employees in legacy organizations are already familiar with performing work not captured in their job description or holding so-called “dotted-line” reports to more than one manager. Holacracy makes it all explicit and gets it written down. Here’s where things differ: once the structure is captured, it can be changed; and everybody has the power to change it. In Holacracy, reorganizing no longer happen when present operating conditions become unbearable, they happen all the time. Holacracy explicitly records roles and accountabilities, and provides a process for changing them. Each month, members of a Circle hold a Governance Meeting updating a Circle’s roles to operate more effectively according to a set of rules. Circle members bring issues (called Tensions) which are shaped by the meeting process into proposals for structural changes. New jobs can be created, old ones can go away. Roles which have grown too complex can be expanded into a Sub-Circle. After the meeting, the Lead Link chooses to fill these roles, including the heads of any new Circles, with anybody from the organization they like. Organizational change in a Holacracy is hard to stop. The system is biased toward action. Holacracy uses a facilitated process during its Governance Meetings called Integrative Decision Making, which contains an ingenious set of rules to test and collaboratively integrate opposing viewpoints. The integration process encourages a reduction of the degree of change until everyone agrees the proposal is safe to try. It produces change through consent, rather than consensus. This sort of dynamic adjustment is what makes Holacracy really shine. 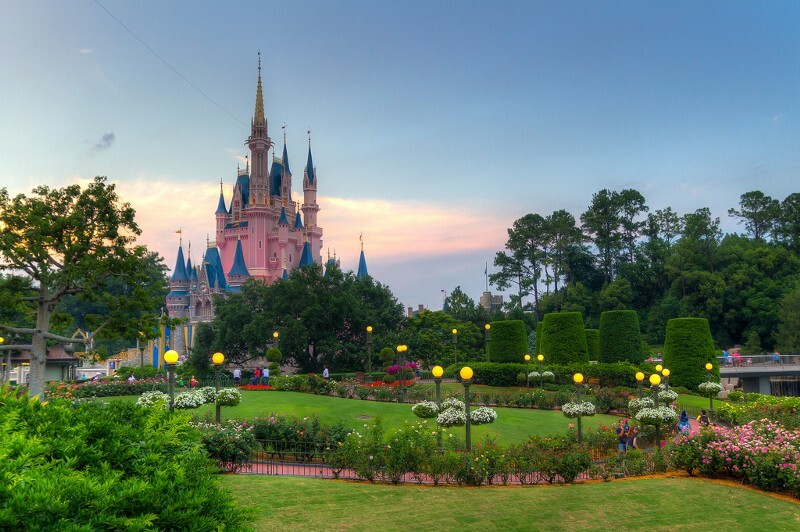 In the oft repeated metaphor on Agile development: when you want to drive to Disneyland, you don’t hop into the car, point the steering wheel toward The Magic Kingdom, and floor it. Rather, you make constant adjustments: you drive the car. Holacracy is the last re-org you’ll ever do — it allows an organization to respond to its internal and external environment much more adaptively and effectively. The gateway drug to Holacracy is the Tactical Meeting. The Tactical Meeting breezes through team metrics, project updates (no discussion, just changes from the last meeting), and brings a process for breaking down the work of a Circle into a set of assigned actions to carry the team forward. All this happens in under 30 minutes. Gone are ineffective status meetings. In Holacracy, everyone keeps an open to-do list and must share it with anybody who asks. This radical transparency allows for rapid adjustment of the business. If important actions aren’t being completed by an employee it’s possible that: 1) the Role performing work isn’t a priority to the business 2) the individual might need that work reassigned to someone else 3) the Role may need to be augmented with additional resources 4) the individual may not be effective filling their Role. The question, “what on earth are they spending their time on?” disappears in Holacracy. It’s a common misconception that the meeting types dictated by Holacracy — the Tactical Meeting (surfacing the work to do) and the Governance Meeting (redesigning the organization) — are the only meetings one can have. This is untrue, although the Holacratic meetings tend to kill the need for other kinds of meetings. Folks can still collaborate together any way they wish, even if that means setting up a meeting. At Undercurrent it’s meant much fewer meaningless meetings, and much more time just doing the work. Holacracy isn’t perfect, but it’s the best we’ve got. Our experience has informed us that mature organizations with an established culture of defining and following processes tend to take well to it. However, young organizations and start-ups, who are likely moving implicitly with speed and agility often feel like Holacracy only slows them down. They’re probably correct. After nearly a year of running Holacracy at Undercurrent, there have been a number of positive effects. Clearly defined Roles have made work assignment much easier. Gone are the e-mail blasts that read, “who’s got this?” Ineffective meetings are gone. We’ve also been able to experiment and scale a variety of business functions without raising costs. For many, Holacracy offers a systematic approach for organizing around work. Its terminology and rules can be clumsy to learn at first, but we find it’s well worth it. All iconography and images are in the Creative Commons. Thanks to CPJ, Sasha Wright, spencer wright, BunchBunchBunch, and Mark Raheja.